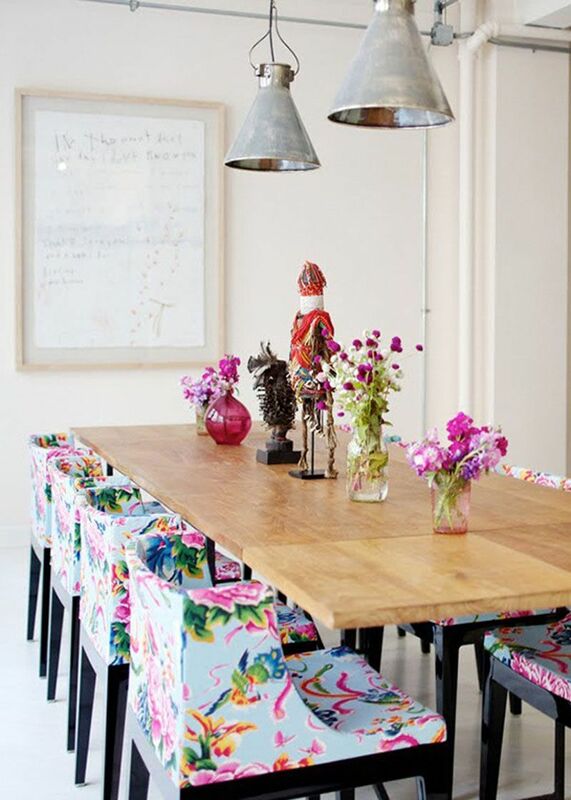 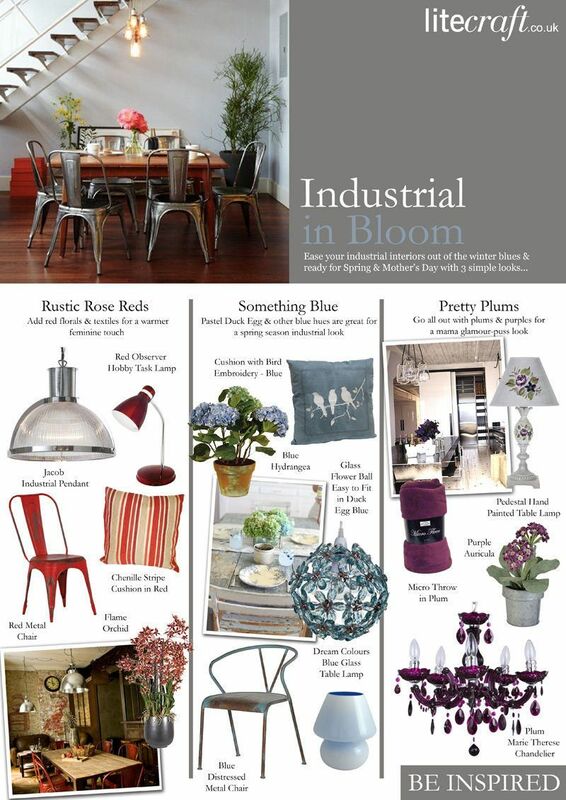 Add a touch of feminine floral to your industrial interior this Mothers Day. 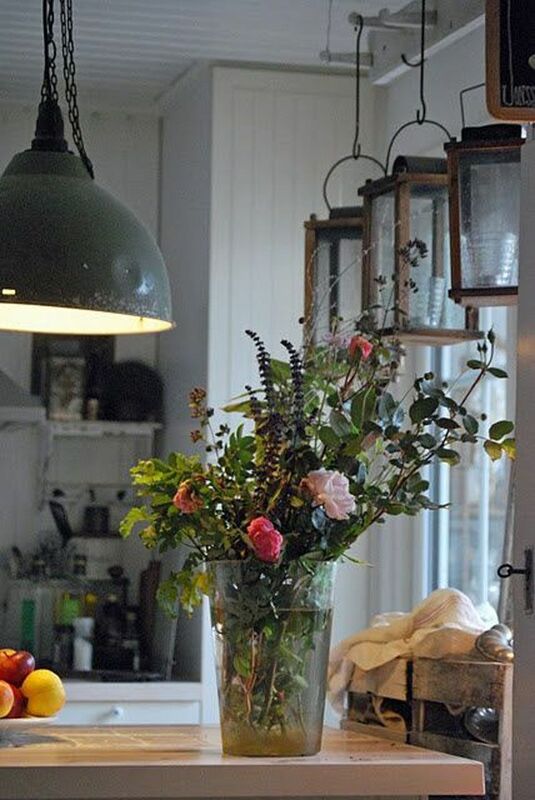 Soften the harshness of the utilitarian look this spring and ease out of the winter blues by introducing floral accents, bring in blooms from your garden or nip to your local store for a bunch of pretty posies. 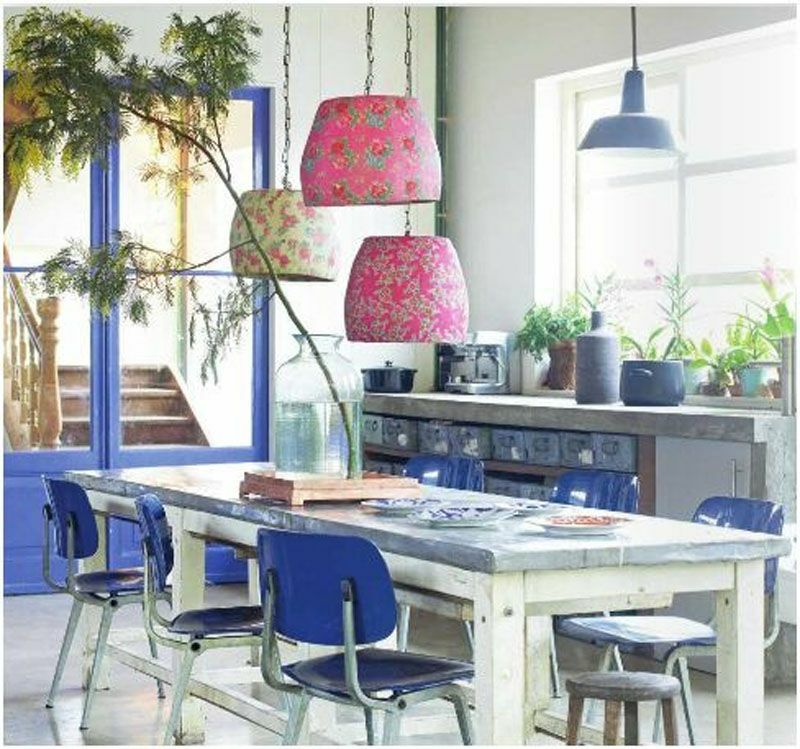 Use natural foliage for pops of colour then compliment with accessories of the same hue, or add floral patterned fabrics and wallpaper. 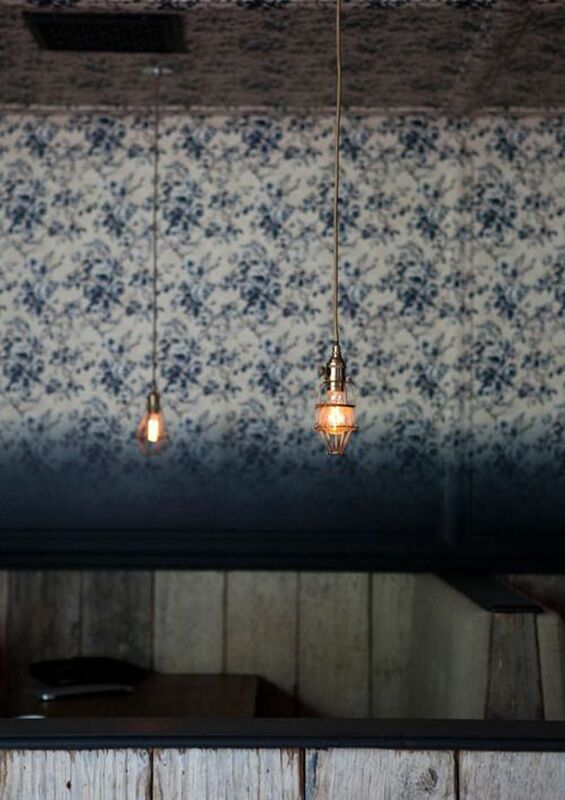 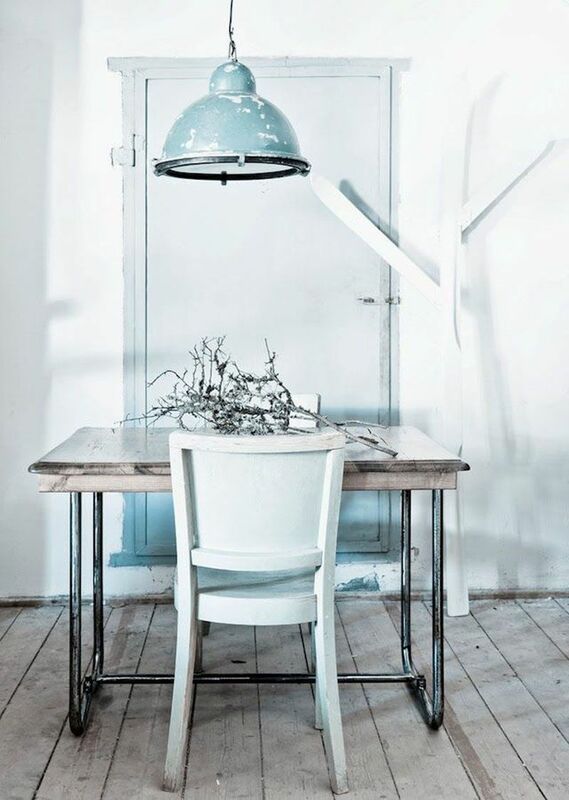 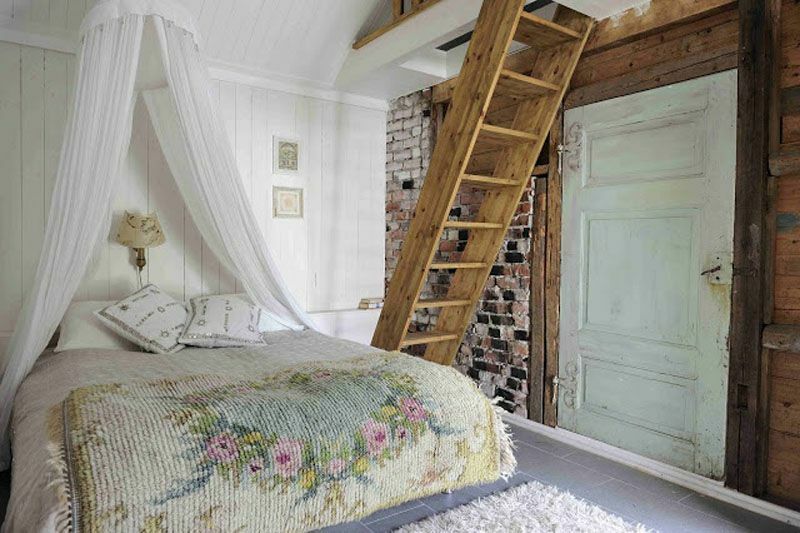 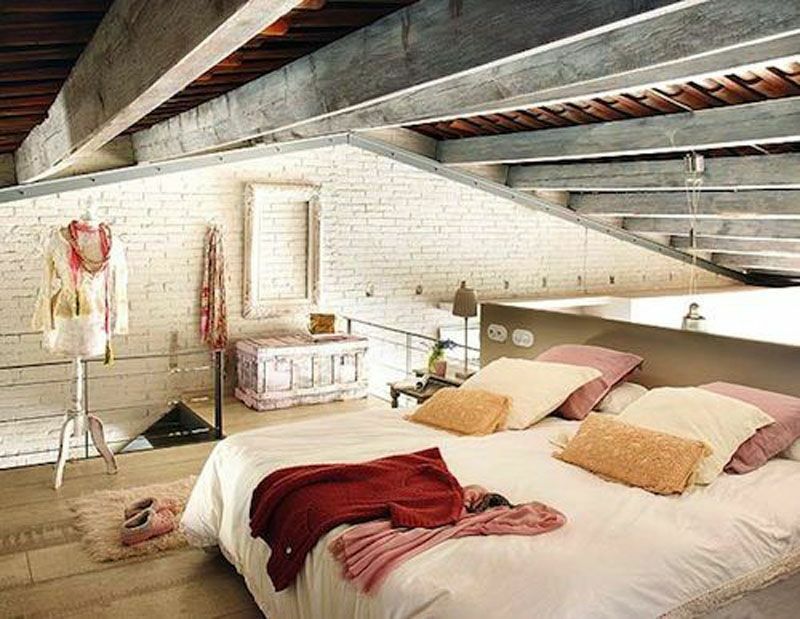 Pastel colours work well with the industrial theme as they can appear retro yet pretty at the same time. 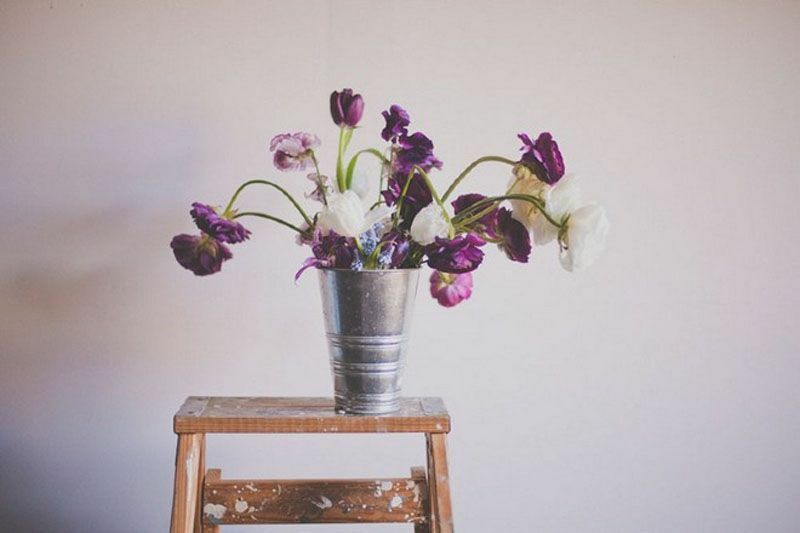 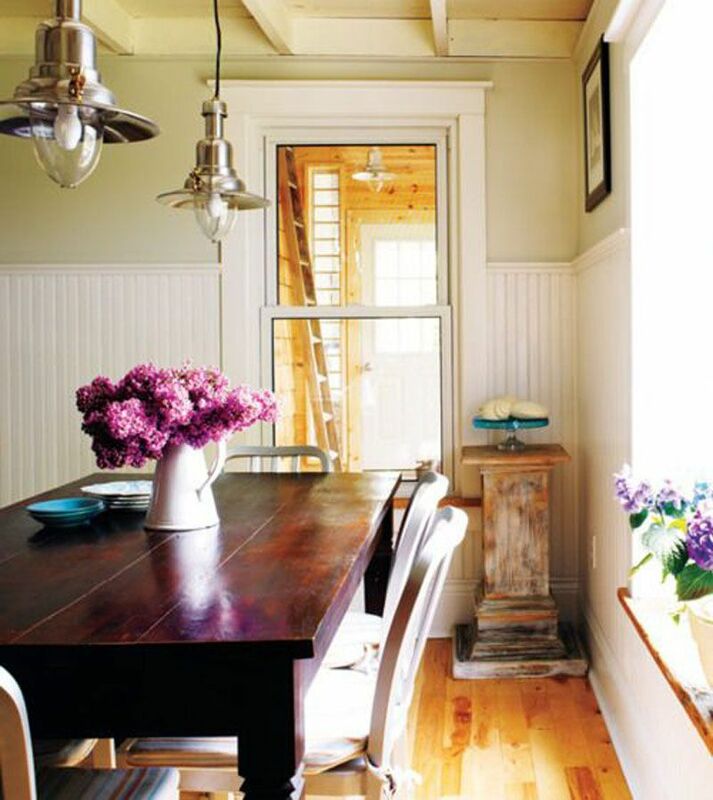 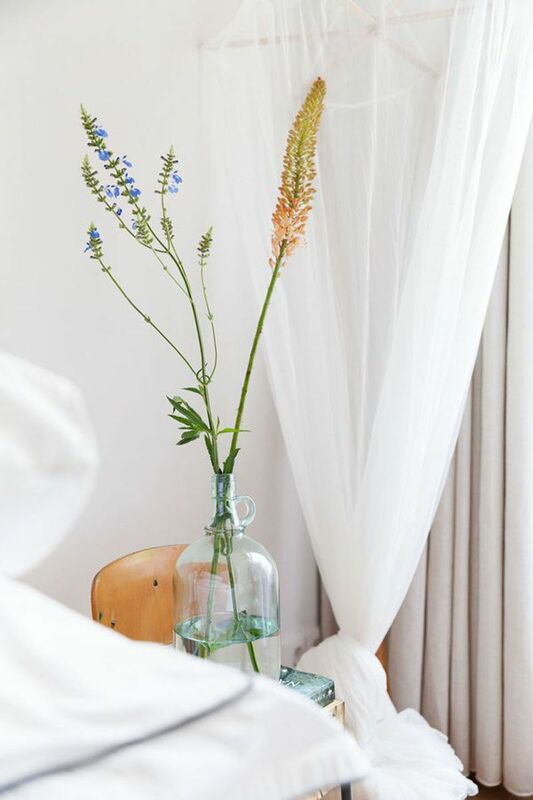 Flowers are an easy element to add especially for occasions and they can be quickly changed depending on the season, thus introducing new colours to your home. 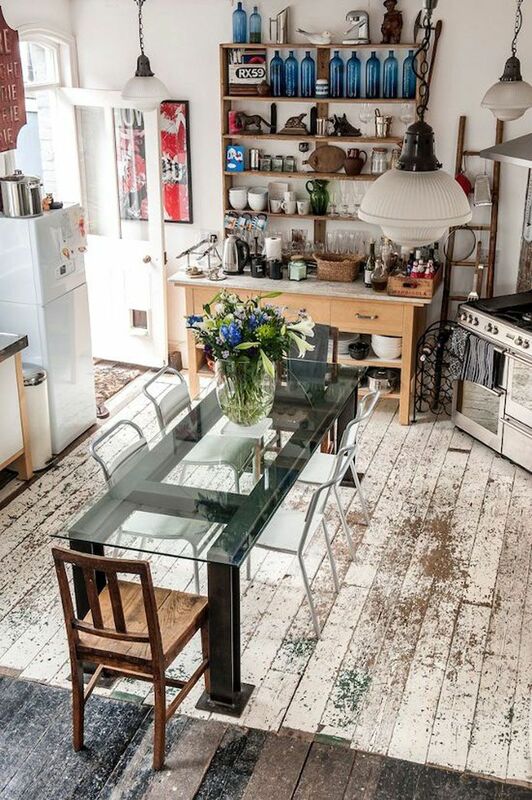 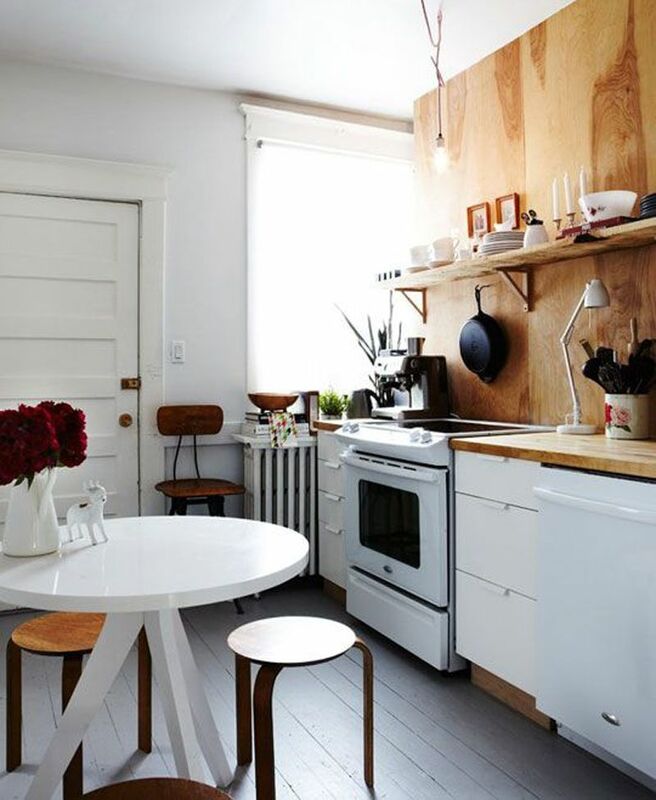 Try not to swamp your interiors, you want to try and keep parts of the industrialism to some extent. 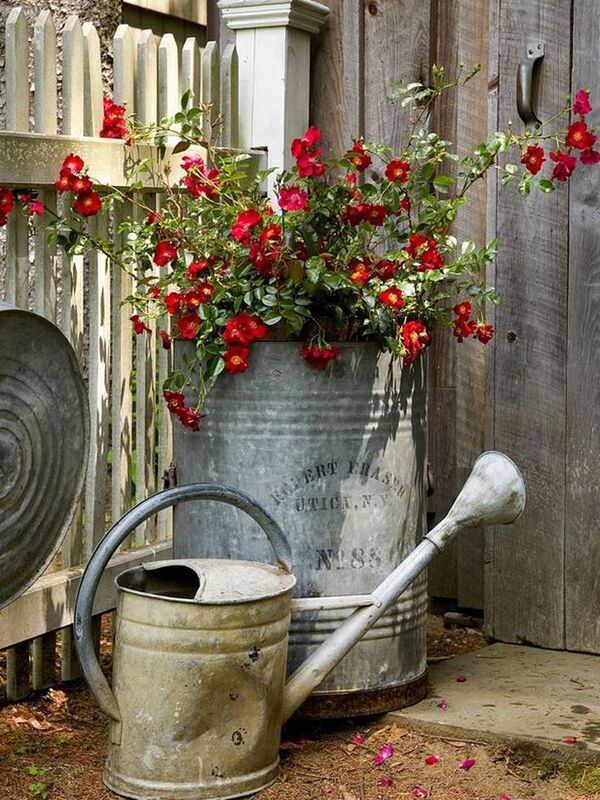 Choose tones from your favourite plants and accentuate with similar toned accessories. 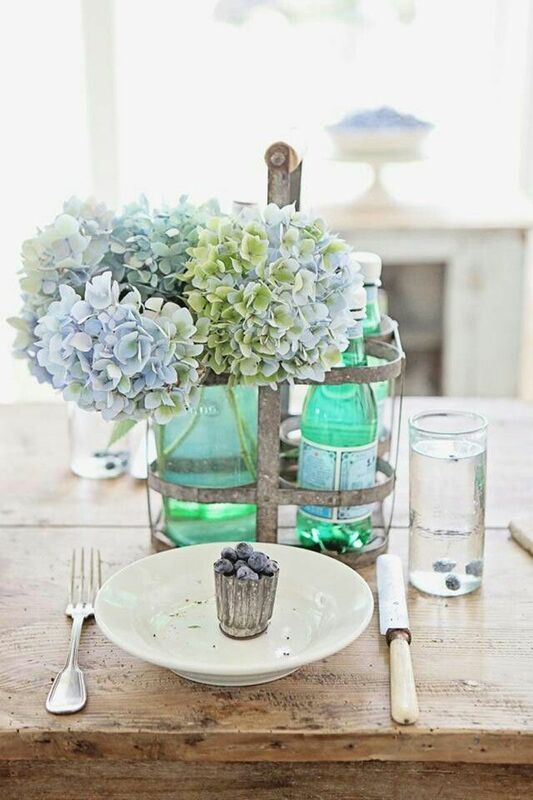 Blue is a great colour to soften your look, pick up the hues in a blue Hydrangea bush and mix with pastel blues, duck egg, indigo and even teal. 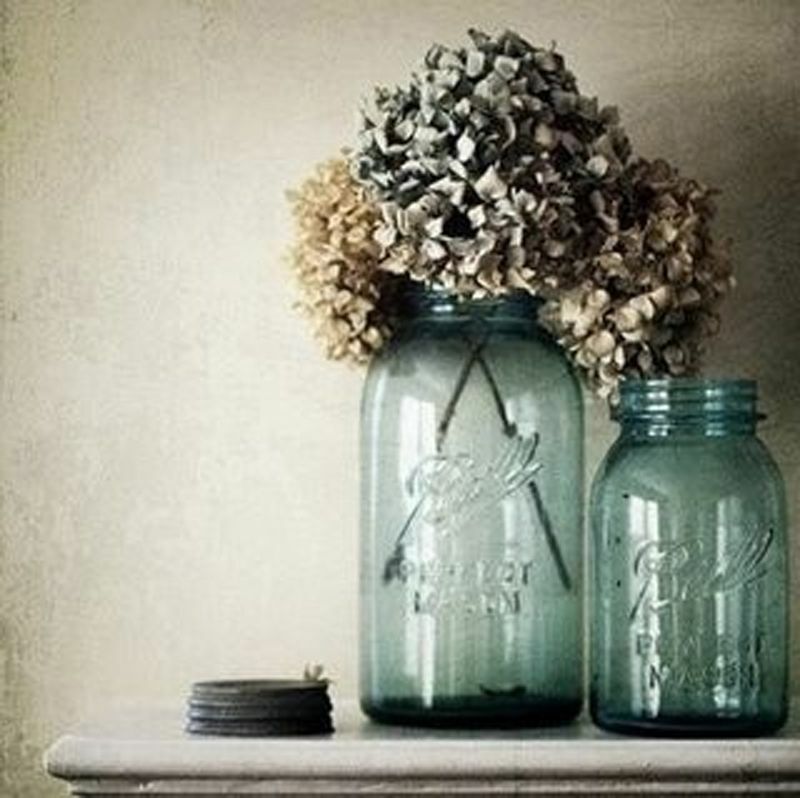 Old mason jars feature a blue tinge so to compliment the flowers add some jars on a side table, this will keep the uniformed look but in a more subtle way. 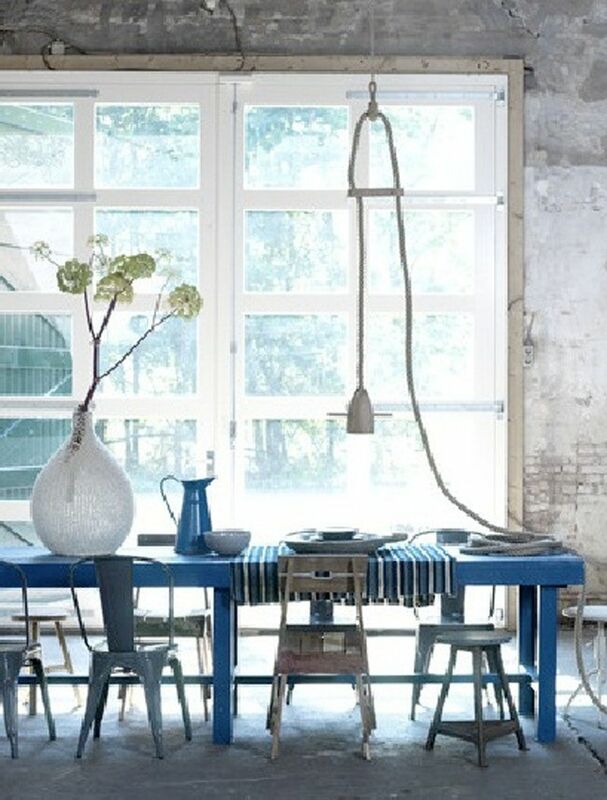 Blues also work well with slate greys and the grey of a galvanised steel finish. 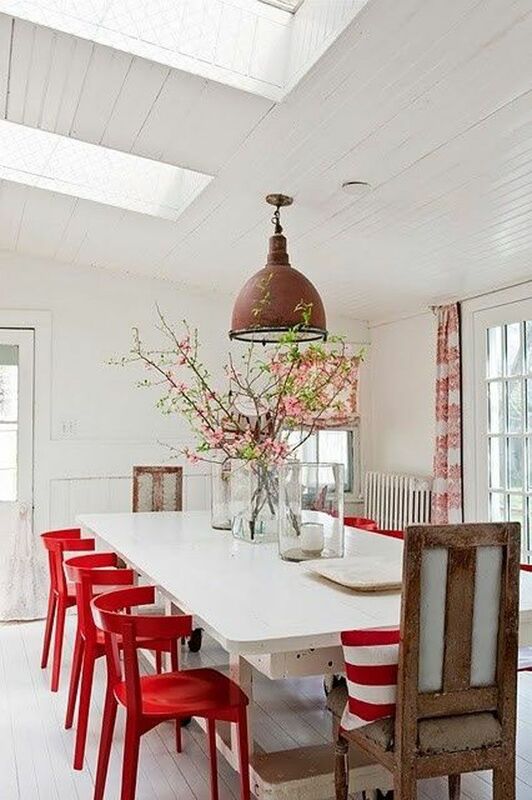 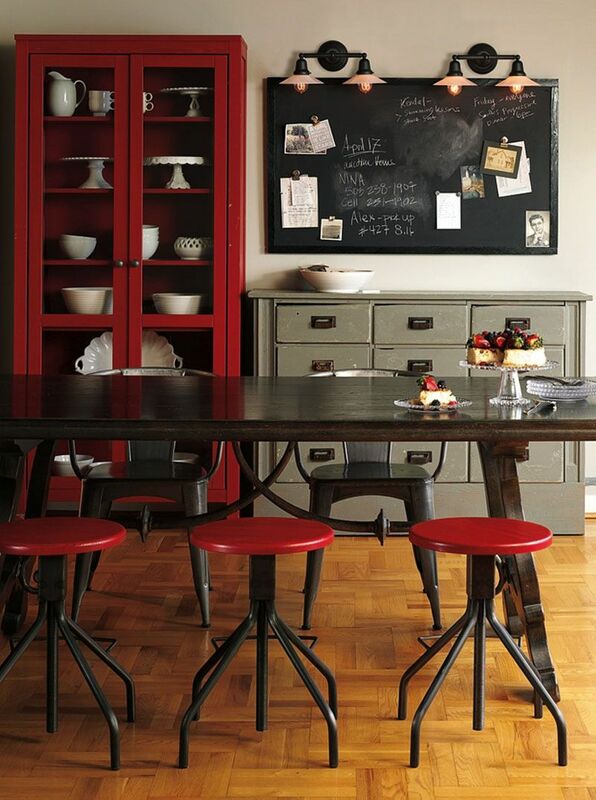 Red metalled finishes work well for a retro style industrial interior and can be teamed with sumptuous red roses and juicy red apples and berries, add polka dot red napkins and table cloths for a vintage vibe. 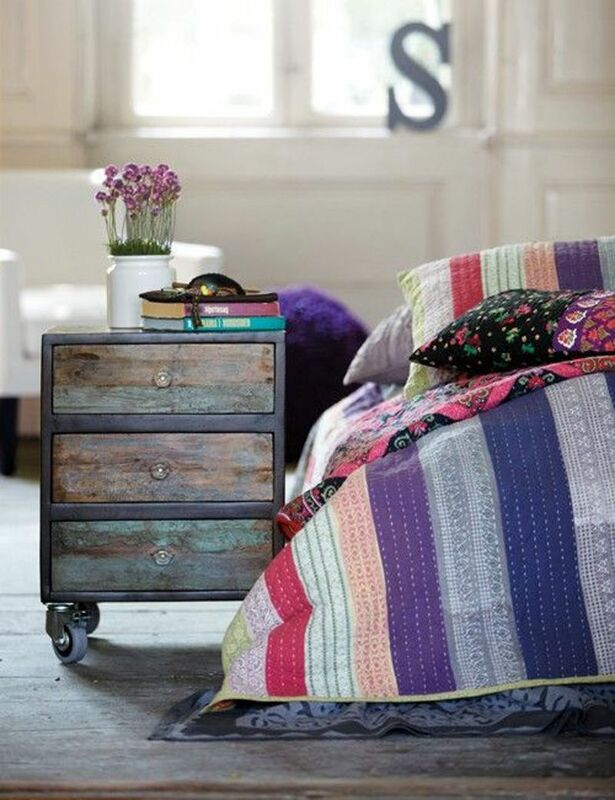 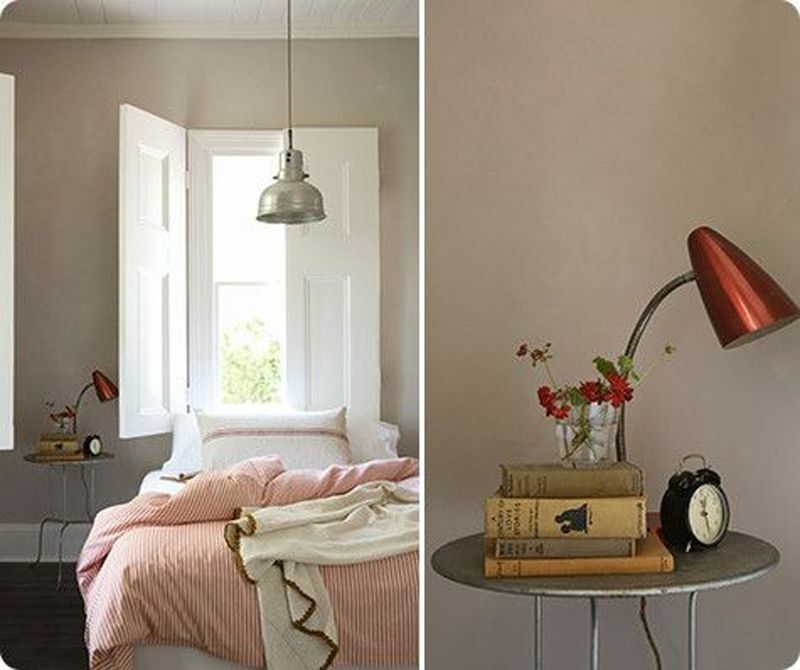 If you’re looking to glam up your industrial home and bring in an element of rough luxe then plum plum, pinks and purples are ideal, these colours add a hint of regency perfect for mothers day breakfast in bed. 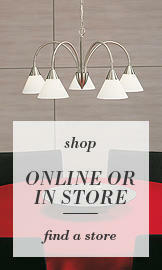 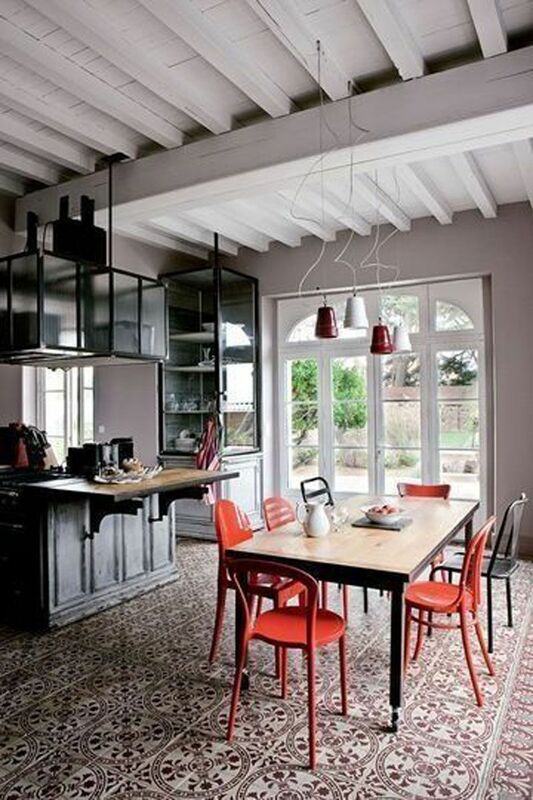 Add an opulent chandelier in a modern colour to mix traditional with contemporary. 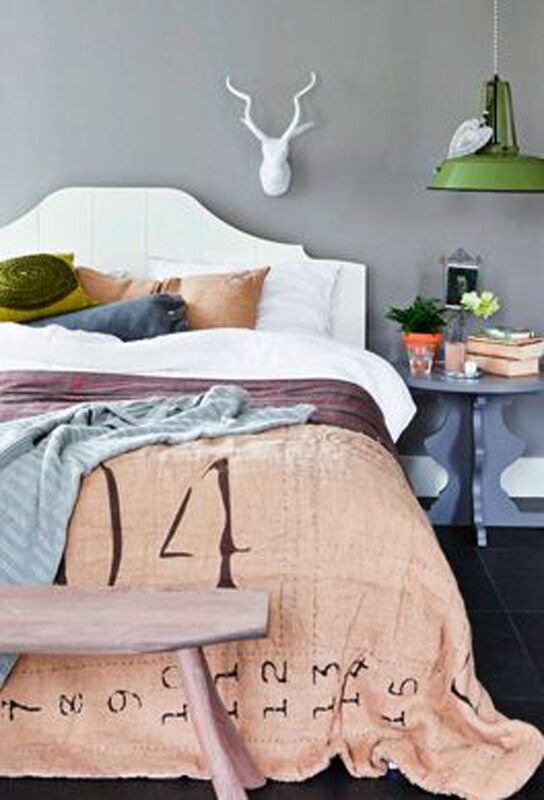 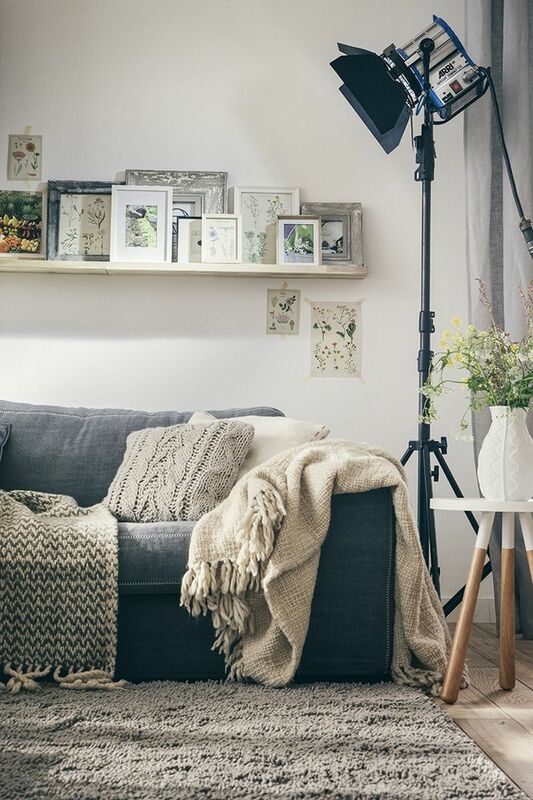 For comfort and a welcoming warmth layer your industrial spaces, add scatter cushions and throws. 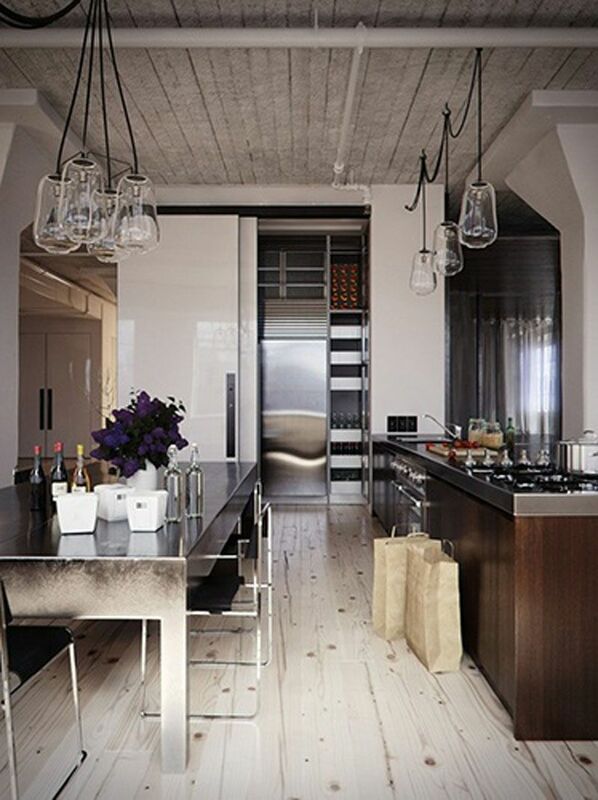 Industrialism is easy to layer as it’s minimalistic elements work almost as a blank canvas enabling fancy and frilly accents. 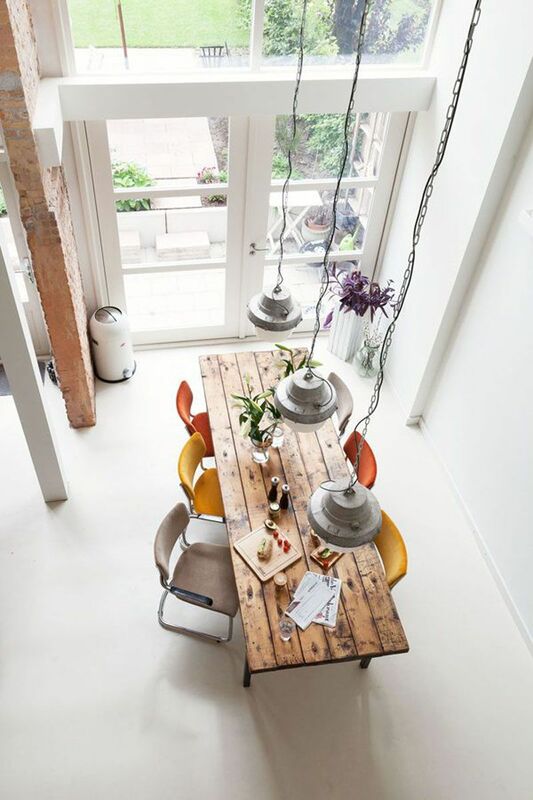 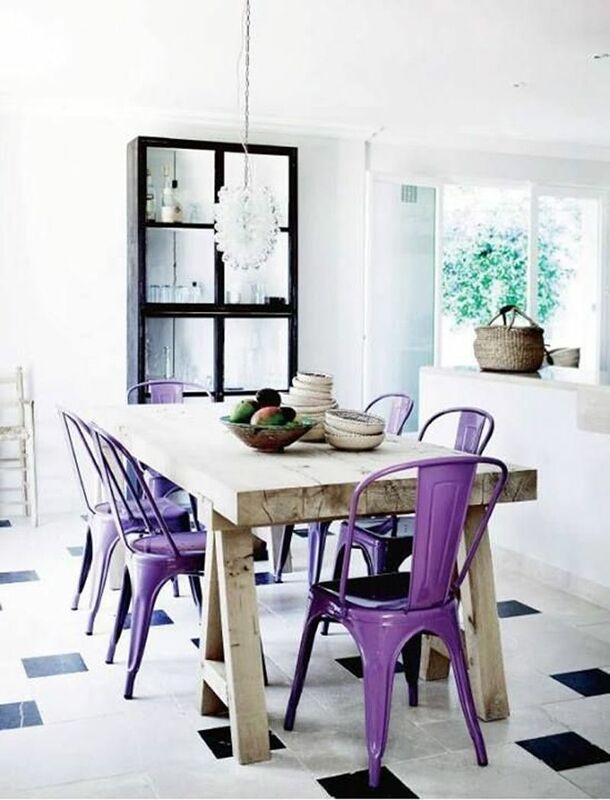 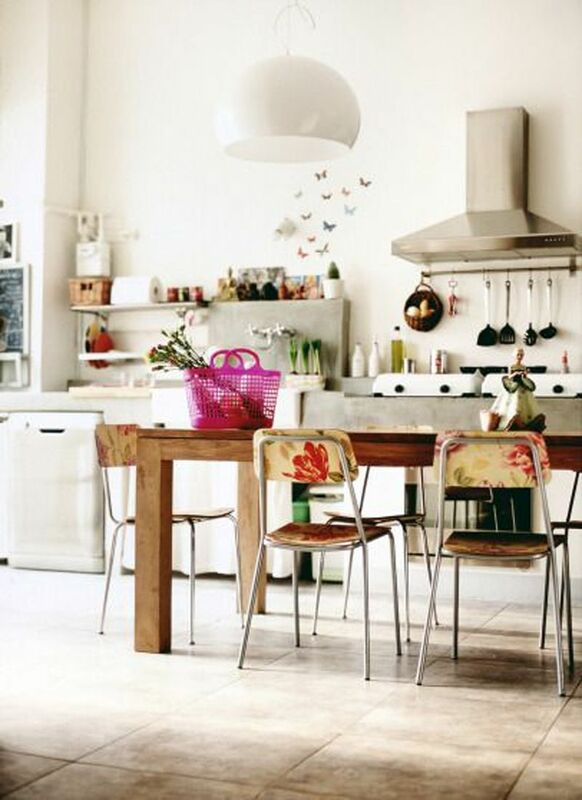 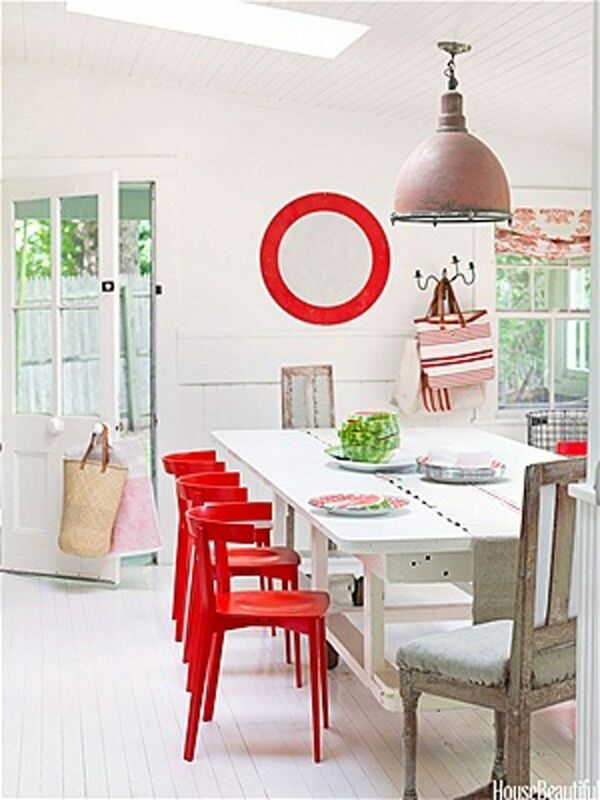 Add cushions onto retro metal chairs and throw blankets and table cloths over rough edged surfaces.